If you underwent hip replacement surgery, you may not know whether you received a metal-on-metal implant – also known as a MoM implant. But if you have suffered medical complications and constant pain after having hip replacement surgery, you should find out what type of implant you received as quickly as possible from your doctor. These hip implants have caused countless problems for thousands of patients, including a condition called metallosis, or poisoning from the metal implants. Studies have shown a high failure rate with metal-on-metal implants as well. If you've experienced symptoms of metallosis or other medical complications related to your hip replacement surgery, call your doctor today to find out if you received a metal-on-metal hip implant. Then contact the Pennsylvania law firm of Edgar Snyder & Associates for a no obligation, free case review. You may have a case, and we can help. What is Metallosis? What Causes It? 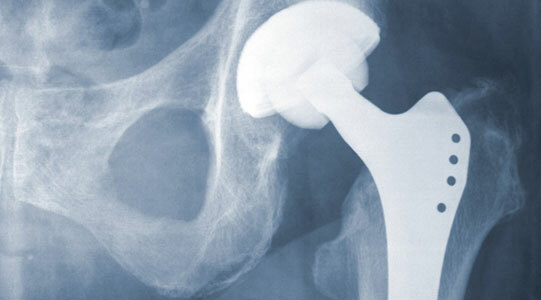 There are several types of hip implants used in hip replacement surgeries. With metal-on-metal hip implants, both the ball and socket parts of the implant are made of metal. The issue with these types of implants is that the metal parts may rub against one another. They may break off or deposit toxins into the body's soft tissues, which can become inflamed and cause a wide variety of medical problems. In August 2010, DePuy issued a recall of its ASR XL Acetabular Hip Replacement and ASR Hip Resurfacing Systems, after a study from the National Joint Registry found the two products had high failure rates and may have caused metallosis (metal poisoning) in many patients. The Statute of Limitations for this recall will expire on August 24, 2012. Get a free legal consultation today -- before it's too late. What are the Symptoms and Complications of Metallosis? Skin rashes, problems with the body's senses, problems thinking, etc. Note: Metal-on-metal hip implant cases may include co-counsel. Sources: "FDA probes issues with metal hip replacements. MSNBC. June 25, 2012.